The world is your oyster here at NewRoads. Once your career begins with us, the opportunities within the NewRoads Group are endless. We recognize that our associates are our only real competitive advantage! Therefore, when you join the NewRoads family you will soon see how hard we work to create an environment that encourages longevity and growth for its associates. There is great potential for growth with the NewRoads Group and we are always thinking long term for our associates. We practice this by doing our very best to promote from within. Who wouldn’t want to work for an organization in which you have the opportunity to grow your career? We have a vast array of positions – anywhere from sales and service to business development and office administration. We are fortunate that our tenure is high at NewRoads – we have numerous associates within our Group that have shifted careers – both vertically and horizontally. Transitions in careers have occurred for various reasons for example - lifestyle changes, interests and promotions. Life is ever changing and we recognize that good associates grow and their interests and needs develop and change along the way. We at NewRoads are here to foster and encourage that growth for our associates. 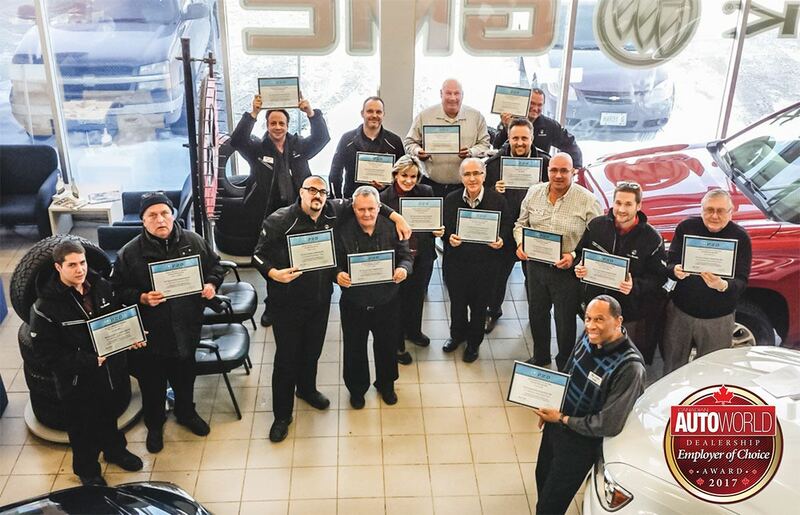 We have lot attendants that have transitioned to sales associates, technicians that have advanced to Service Managers, Service Managers that have been promoted to General Managers and the list goes on and on! Stop by any of our locations and you are sure to meet an associate that has advanced their career within our Group! At NewRoads we encourage associates to be the best version of themselves. We offer personal growth workshops where we work closely with you to determine what your goals are, both personal and professional, and how we can work together to achieve them. We all have goals and feel a sense of satisfaction when these challenges are fulfilled. As a valued associate at NewRoads, you will receive support and encouragement along your own personal journey to success. At NewRoads we are committed to provide training to enhance the skills of our associates. Whenever possible, we endeavor to provide additional company sponsored training programs for our staff. We succeed when you succeed!